The former Bruins assistant is now on the staff of the New Jersey Devils, led by first-year coach John Hynes. Geoff Ward spent seven seasons with the Bruins. Geoff Ward felt a little strange last Sunday at Providence’s Dunkin’ Donuts Center. For the first time in a year, Ward was back coaching an NHL game, albeit a preseason one. And it was the first time in his NHL career he had done so without Claude Julien at his side. Ward, Julien’s right-hand man for seven seasons in Boston, is now an assistant coach for John Hynes in New Jersey. Ward returns to the NHL after being the head coach of Adler Mannheim last year in the Deutsche Eishockey Liga. Ward’s trajectory is not the standard coaching progression. Ward was once an up-and-coming coach. In 2001, Ward was 39 when he was hired as Julien’s assistant in Hamilton, formerly Edmonton’s AHL affiliate. He had an NHL head coaching job in his crosshairs. Fourteen years later, Ward considers himself the veteran of the New Jersey staff. The 40-year-old Hynes is a rookie NHL coach. Hynes, formerly head coach of Wilkes-Barre/Scranton, brought fellow 40-year-old Alain Nasreddine with him from the AHL. Ward coached Nasreddine in Hamilton in 2001-02. Ward was in a good spot in Boston. He and Julien made the playoffs in each of their seven seasons together, winning the Stanley Cup in 2011. He raised his four children in Massachusetts, giving them roots so deep they still consider themselves Bruins fans. In 2013-14, his final season in Boston, Ward’s power play improved to No. 3 in the league, partly because of the decision to shift Zdeno Chara to the front of the net. But Ward left that all behind when he left the world’s top league with term remaining on his deal. In Germany, Ward returned to being a head coach for the first time since 2006-07. That year, he was also in the DEL with Iserlohn. Ward turned to what he knew best: a North American culture. He hired AHL journeyman Jay Leach as his assistant coach. Ward liked Leach, who had retired in 2013, because he reminded him of former Boston colleague Doug Houda — also an AHL veteran and recently retired ex-defenseman who could relate to players. 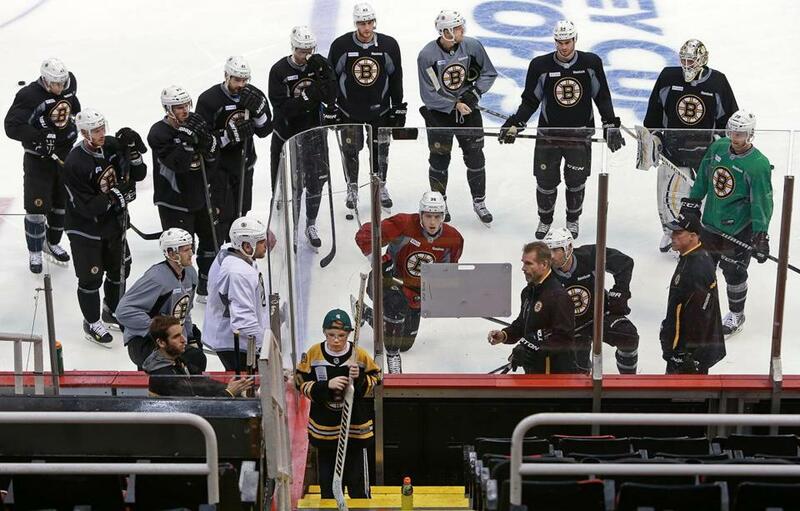 Ward retained goaltending coach Brian Daccord, the Woburn-based instructor. Mannheim signed ex-Bruins Glen Metropolit and Jamie Tardif. Other players with NHL experience included Jochen Hecht, Kurtis Foster, Danny Richmond, Jon Rheault, Brandon Yip, Steve Wagner, and Andrew Joudrey. With Ward calling the shots, Mannheim won the DEL title. Ward coached a different game in Germany, with its 100-foot-wide sheet, boisterous barns, and standard of competition. But Ward came out a better coach because of the systems and concepts, literally foreign to him, that his team had to face. In New Jersey, Ward will be part of a culture change. Ray Shero replaced longtime Devil Lou Lamoriello as general manager. Hynes wants a responsible but up-tempo game. Bryce Salvador, Michael Ryder, Martin Havlat, and Scott Gomez were among the players the Devils didn’t ask back. Graybeards such as Patrik Elias will soon cede their roster spots to younger players with fresher legs. Shero will build the team around Cory Schneider, the Devils’ ace goalie and best player. Ward went through this before. The Bruins missed the playoffs the year before he was hired as Julien’s assistant. Ward helped to build the Bruins into a regular contender. He became a trusted voice on the bench. Ward’s NHL head coaching window is closing. Young coaches such as Hynes, Dave Hakstol, and Jeff Blashill are among the latest hires. John Tortorella, Adam Oates, and Guy Boucher are ex-NHL coaches who are fighting to get back in the game. There is no shame in being a good NHL assistant. Ward proved that once. He’s eager to do it again. John Tortorella is looking to downgrade his reputation from flammable to dependable. In theory, the Americans will have a hard time hanging with the Canadians in next year’s World Cup of Hockey. Team Canada, which struck Olympic gold in Sochi in 2014, will roll out a stud-filled group. You know you have a deep player pool when Claude Giroux, Tyler Seguin, and Ryan Johansen will be fighting for work. So the Americans will turn to intangibles that have served this country well in other applications: nationalism, pride, and emotion. 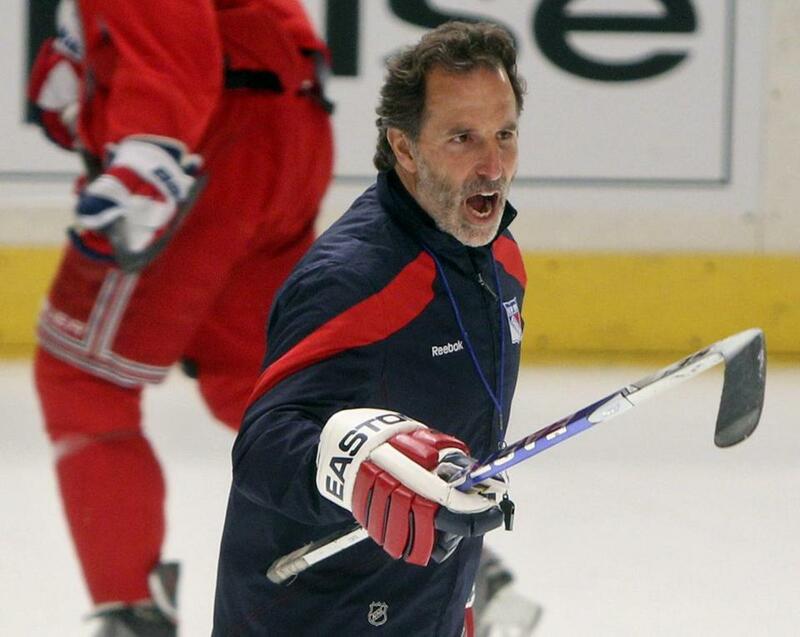 In that way, there is no better coach to lead the underdog group in a short tournament than John Tortorella. Hockey is an emotional game. Goals, saves, checks, and shifts spike shifts in momentum. In a one-and-done tournament, energy and passion can sometimes overwhelm talent and systems. In choosing a hot-headed coach such as Tortorella, whose history includes mistakes as well as accomplishments, GM Dean Lombardi believes that tapping emotion can help send his club deep into the event. The Americans will have good players at important positions. Cory Schneider, Jonathan Quick, and Ben Bishop will battle for the net. Newbies Tyler Johnson and Chris Kreider will give the team speed, skill, and enthusiasm. But the Americans can’t rely on their talent to advance past the Canadians. They don’t have enough of it. Tortorella and Lombardi have something to prove. Tortorella, gassed in Vancouver after one season, wants to get back into the league. He’s looking to downgrade his reputation from flammable to dependable. In the World Cup, Tortorella will close ranks, create an us-against-them environment, and give his lead dogs enough rope to pull the rest of the group. Lombardi, meanwhile, is still staggering from managing a group in Los Angeles that’s spent more time recently in leg irons than in the playoffs. Slava Voynov is back in Russia after serving his sentence for domestic violence. Jarret Stoll, now with the Rangers, was arrested for possession of cocaine. Mike Richards was charged with possession of a controlled substance. The Kings cut ties with Richards. Lombardi is trying to rebuild his roster for another Cup run after missing the postseason last year. He acquired Milan Lucic. He’s expecting young players such as Jordan Weal and Michael Mersch to be among the next wave of AHLers to contribute. But the World Cup is not just a side project for Lombardi. He cares about USA Hockey, international competition, and history. The Kings GM does not intend to show up in Toronto next year just for a door prize. Alexander Khokhlachev has played in just four games the last two seasons. Alexander Khokhlachev has not done much with his NHL opportunities. He’s appeared in four varsity games over his first two pro seasons. It’s not just that the Bruins prospect went scoreless in the four games. He didn’t play with the pace, intensity, and desperation required of a varsity center. That said, Khokhlachev was justified in declaring his frustration with the Bruins. He is a skilled center who was asked to play with grinders (Daniel Paille, Gregory Campbell, Jordan Caron, Matt Fraser) in his call-ups. He is also a Russian who could earn more in the KHL (SKA St. Petersburg holds his rights) than the $70,000 he’ll make in Providence. The latter is the risk NHL clubs run with Russian players. It’s a lot easier to think you’re getting a raw deal in the AHL when you can make more money back home. During this preseason, Khokhlachev has been playing at a higher tempo. But his chances of making the Bruins’ roster out of camp are not good outside of two things: injury and system change. Patrice Bergeron, David Krejci, and Ryan Spooner are more deserving of jobs. To make the team, Khokhlachev would have to be the fourth-line center. The Bruins already have planned their fourth line with players in mind, such as Max Talbot and Zac Rinaldo. The group’s projected identity is speed, grit, experience, and physicality. This is the way most teams think. These are not qualities that fit Khokhlachev’s game. He is not especially strong, good at defending, or effective on the draw. But those are qualities that come into play when players are chasing the puck. Khokhlachev, the team’s second-round pick in 2011, projects to be an NHLer who controls the puck, especially when he’s playing with like-minded wingmen. Chicago has been playing with a skilled fourth line for five years. You’d think it’s enough of a sample size to convince rivals that it’s effective. Leaguewide, it is a way of thinking that has yet to manifest in change. 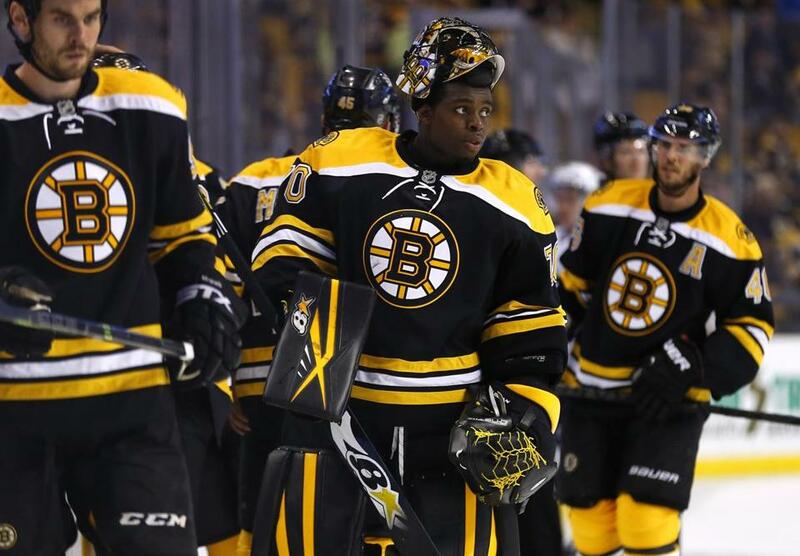 Malcolm Subban is entering his third season. The Bruins have a good trade chip in Malcolm Subban. The third-year pro projects to be an ace, as Tuukka Rask’s successor or elsewhere. But Subban won’t be in the mix if the Bruins are talking trade with Winnipeg regarding Dustin Byfuglien. The Bruins need help on defense with Dennis Seidenberg out for two months following back surgery. Byfuglien, the dynamic right-shot rover, would help. But the Jets are set in goal long term with Eric Comrie and ex-UMass Lowell puckstopper Connor Hellebuyck in the minors under Ondrej Pavelec and Michael Hutchinson. The Jets would want one of the Bruins’ two 2016 first-rounders and help off the roster. Winnipeg has to budget cash for Andrew Ladd (unrestricted), Jacob Trouba (restricted), and Mark Scheifele (restricted), whose deals will expire after this season. As unique as Byfuglien is, the UFA-to-be is 30 and is seeking what could be his final big contract. Byfuglien would be a good addition for the Bruins as well as any other club, but one that would come at a cost. Oscar Klefbom scored two goals and 16 assists in 60 games last season. Seventy-seven NHL games is not a large window in which to project a defenseman. But it was enough to convince Edmonton to sign Oscar Klefbom to a seven-year extension just south of $30 million. The new deal starts in 2016-17. Last season, the 22-year-old scored two goals and 18 assists in 60 games while averaging 21:59 of ice time, second most on the team after Justin Schultz. 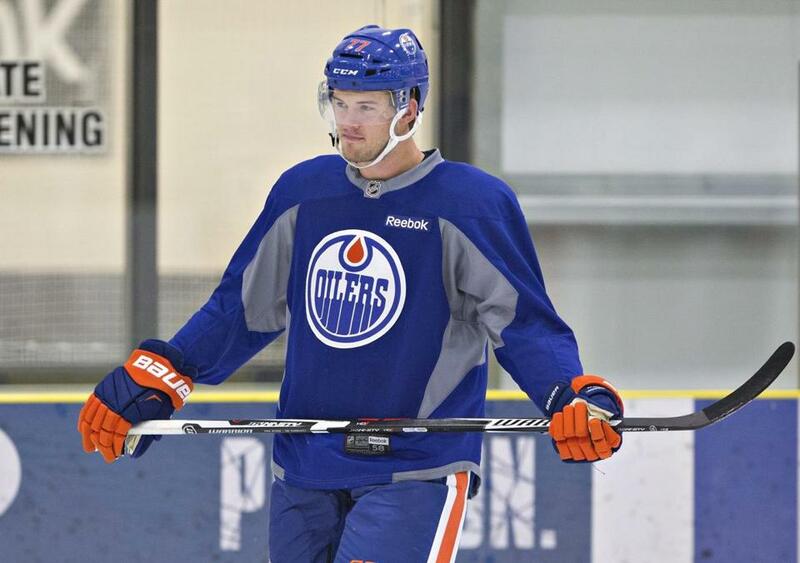 Klefbom is already a smooth, smart, and dependable all-around defenseman. Clubs like to lock up these types early (Justin Faulk, Jonas Brodin, John Klingberg, Adam Larsson). In retrospect, the Bruins should have acted similarly with Dougie Hamilton and extended the defenseman before the expiration of his entry-level contract. This was not the preseason in which teams got wise to using their goalies. It was common for the starter to cede the net to his backup halfway through a preseason game. This is a very hard way for teams to gather data on goalies. It’s hard enough to gauge a goalie’s 60-minute performance against teams half-filled with JV players. It becomes harder when the viewings are shortened to 30 minutes. A goalie often does his best work late in games when opponents push. Sixty minutes make for a clearer snapshot of how a goalie will perform when the games are for real. 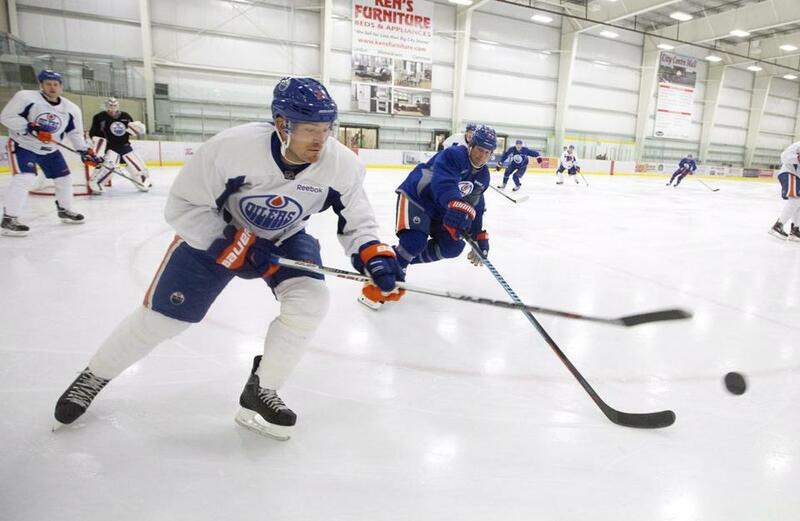 Andrew Ference is a good employee and will hand off the ‘C’ gracefully. That the Oilers have never ceased chatter about taking the captaincy away from Andrew Ference indicates the move will happen. The ex-Bruin and Edmonton native was a good choice to wear the “C” when the previous management group signed him to a four-year, $13 million contract. But it’s time for the 36-year-old to pass it on to Taylor Hall. Ference is a good employee and will hand it off gracefully, despite the sensitivity of the transition . . . The Ducks went off the radar by signing goalie John Gibson to a three-year, $6.9 million extension last Monday. Gibson will still be on his entry-level contract this season, which he’s likely to spend in the AHL. Frederik Andersen and Anton Khudobin should be Anaheim’s two goalies. The signing gives the former second-rounder peace of mind, but Gibson has yet to dominate in the AHL. Two players are entering their 20th season with their original franchise: the Coyotes’ Shane Doan, 38, and the Devils’ Patrik Elias, 39. They’ve both done a lot, and seen a lot, over that time.